Windows XP SP3 is set to release today! For those of you who are still using Windows XP (if you haven’t already made the switch to Windows Vista or Ubuntu Linux :D), Service Pack 3 is set to release today. However, contrary to what you may have seen other blogs post about it, it is not set to include Internet Explorer 7. This seems to be floating around the Internet like crazy. I just wanted to get the facts straight on this one. After digging through Google for a while I came across an official Microsoft document that blatantly states that Internet Explorer 7 will not be included in this update. If you scroll through the document and fine the section labeled “What Is In Service Pack 3“, you’ll see the new changes. The source that I retrieved this information from can be found here (pdf). I’ll just go a head and sum up the changes that you will see in Service Pack 3. Service Pack 3 will not be adding many brand new feature that were released with the coming of Vista. SP3 will include Network Access Protection (NAP) to help organizations that use Windows XP to take advantage of some of the new features in the Windows Server® 2008 operating system. Windows XP SP3 does not include Windows Internet Explorer 7. Windows XP SP3 also includes a small list of previously unavailable functionality, including NAP and an update of Windows Product Activation. With this update, users will be able to enter their product key after installing Windows XP SP3 instead of during installation. 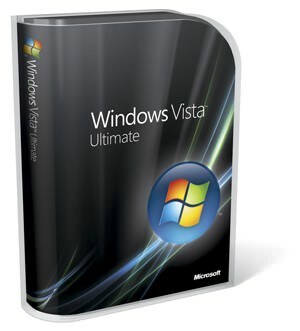 Windows XP experience or bring most Windows Vista functionality to Windows XP. If you don’t see the option to upgrade your system to Service Pack 3 yet, they you can grab the package yourself! If your interested in the links then you can find them all at GHacks.net! The package itself is ~316mb, but if you don’t want to download all of that then you can just wait until it is made live. Chances are, you won’t have to download that much from Windows Update since you probably have most of the older updates installed already. If you just want to go a head and get it then I say do it! I’m currently installing it myself on my laptop. Enjoy the early links while their early! Also worth looking at is the article Loopholes keep Windows XP alive. Just after releasing the service pack this morning, Microsoft removed it from Windows Update temporarily to fix a flaw with the package. Microsoft says it has since uncovered a compatibility issue between Dymanics Retail Management System (RMS) and Windows XP SP3. There was no time estimate on the delay, however, the direct download links are available if you can’t wait! Look above for more information on that. Make a backup of your registry. Reboot at SAFE MODE and try install SP3 again. By installing Sp3 under a a user account you cannot acccess the registery properly. Please use the Adminstrator account instead of a user adminstrator account. Subinacl.exe was created to act as a way to access the registery properly. And the Reset. com to grant FULL adminstrator account.Also the other tips apply here, Turning of and diabling Antivirus, anti-spyware protection programs. Backing up information.What isn’t clear as when we used w2k was the panel showing full adminstrator vs. adminstrator and power user. Then press F8 during boot-up to log-in as Adminstrator is able to install sp3 with out running the subinacl program. See here for an clarifacation see here. You receive a “Task is completed” message, and a warning message that something could not be done. You can safely ignore this message. If these solutions are confusing then I apologise. I simply got them from a forum discussion and didn’t feel like rewriting them. If you’re confused about any of these steps then just ask about them in the comments and I’ll explain them the best I can. Windows XP Service Pack 3 is available once again via Windows Updates! Go get it! You may already be aware of the problem Service Pack 3 has caused to AMD PCs. If your, not familiar with the problem then it can be summed up by this: Some of the users who installed Service Pack 3 on their AMD Processor based computers reported that their PCs rebooted endlessly and would not allow them to use their computers. If this sounds like something that has happened to you while installing Service Pack 3 then you will need to complete the following instructions to repair your version of Windows XP SP3. Jesper Johansson, who was once a program manager for security policy at Microsoft and currently an MVP who works at Amazon.com, has come up with a fix for the problem. He has created a small 16K VBScript file which checks whether the PC is running an AMD processor, if yes; it examines the Windows registry to find out if a device driver (IntelPPM driver) meant for Intel-based machines is set to load. If it is set to load, it will offer an option in order to disable it. You will need to download the file from here and run it. To run it just double click on it. For more information have a look at the blog post on Jesper’s blog. Author kyleabakerPosted on April 29, 2008 August 25, 2008 Categories Operating Systems, WindowsTags service pack, service pack 3, sp3, windows xp3 Comments on Windows XP SP3 is set to release today!